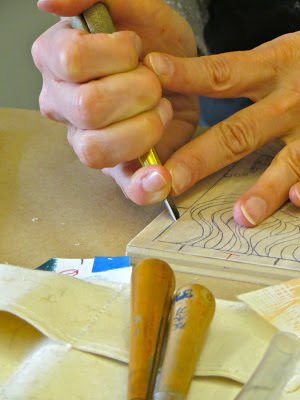 I am taking a wood block printing class at the Schack Art Center in Everett, Washington. 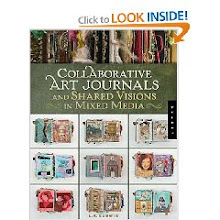 The instructor is Betsy Best-Spadaro. I am having a great time! This class reduction block printing. Basically, you print in several colors and once you have printed your run (the number of prints you are attempting) with one color, you then carve away that particular color from the block. 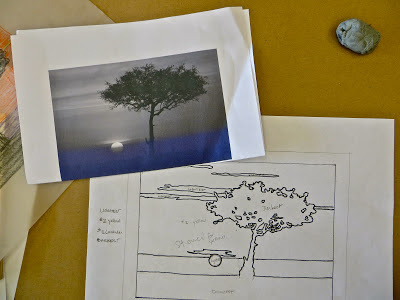 You start with the lightest color, in my case, yellow, and once I have printed each piece of paper in my edition with the yellow, I go back and carve away the part of the block that I want to stay yellow. I am reducing the block. 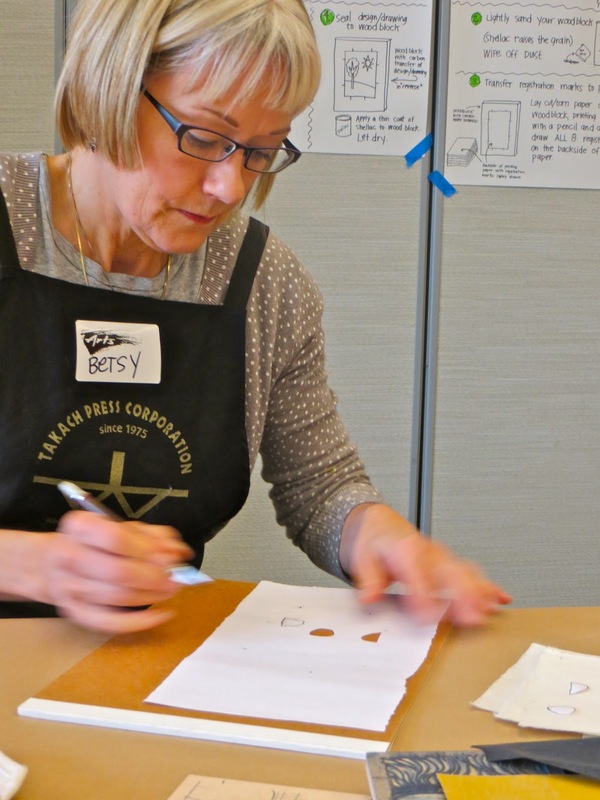 Betsy told us today that reduction block printing is sometimes called "suicide blocks." I can see why! Betsy showing us how she will. carve this wonderful face she is working on. In the above photo, Betsy was showing us how to get a sharp edge by using the knife blade and making angled cuts, two for each line, in the shape of a V.
This shows the beginning of my design for my wood block. I used a photo I took in Africa of an acacia (thorn tree). 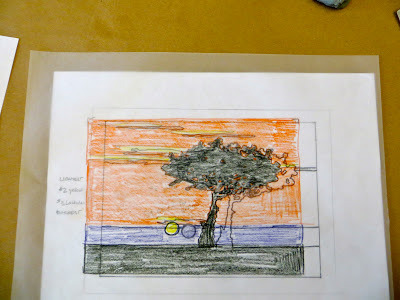 Using colored pencils to color a tissue paper copy of my design gave me an idea of how the print would look when done with ink. It was pretty close to what I "see" in my mind's eye, so I am going with a four color print...yellow, orange, lavender/violet and something dark, maybe a dark brown or a purple-y black. I'm not yet sure what the darkest color will end up. Here I am transferring my design onto my block with tissue paper and carbon paper. I have transferred the design in reverse so when it is printed, it will appear the way I drew it. Now the design is transferred to the wood block. We are using shina plywood wood blocks for this project. Shina is easy to carve. I have inked the block, using a mask that covered the bottom part of the block (no need to waste the ink and I do not want yellow under a purple layer---a good way to get "mud"). The mask is cut out of scrap paper. 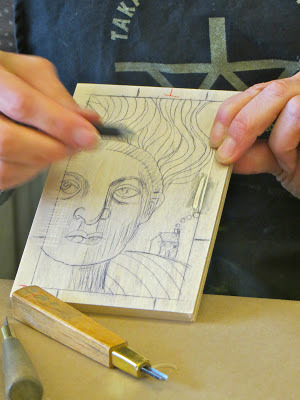 You ink the block right over the mask, then remove the mask before making the print. We are using an engraving press. The ink we are using is very transparent. Here you can see my prints drying on the drying rack. Once I had all my yellow printing finished, I carved away the parts of the block that I want to remain yellow on the prints. The next color will be orange for the sky. You can see the mask for the block that I have prepared before inking the block with the orange ink. Here's a close-up of the clouds in the sky caved away. Now that part of each of the prints will remain yellow. Tomorrow I will post more photos to show the progression of my prints. I am excited to continue. This is really fun! Nice description of the process Michele! You made a beautiful print and I hope you'll do more. Great post! Just wish you could have made me look 10 years younger.